the Sabor River. Alternatively, join the ‘Tastes of the Côa Valley’ excursion. Today you’ll visit the remarkable village of Provesende, resplendently showcasing the Portugal of yesteryear. You’ll get to wander the atmospheric streets of this quaint village with the locals as they proudly introduce you to their way of life – an experience exclusively for the enjoyment of Scenic guests. What better way to immerse yourself into the local culture. 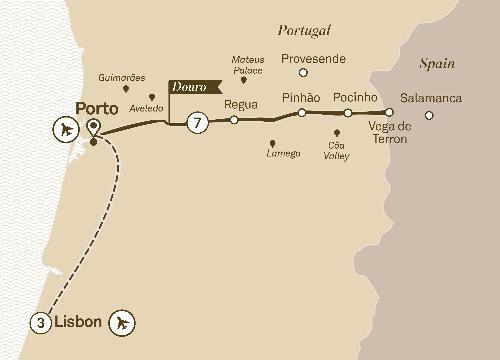 And this afternoon, enjoy an on board cork jewellery presentation as you cruise to Porto. Begin your adventure in Lisbon before boarding the luxurious Scenic Azure in Porto for an all-inclusive cruise along the beautiful Douro Valley.